Not too long ago I posted about my Antique Banff Springs Hotel Mirror. Well … I’m almost 100% sure that the black part was not originally there as there were a few flaking bits that showed gold underneath. Now, I was not looking to restore it to the original condition but I did want to bring it back to it’s gold glory! Here it is now ….. If you missed Making Broken Beautiful last week you can click here to view all the inspiration linked up. I just want to say thank you again to all my faithful linkers who remember to link up to my small party! Your support and friendship in supporting this new(ish) growing party means so much! 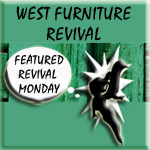 THANK YOU for taking the time to share your talents here each week! Hello Hailey! Love you sweetie! Have a great day at school! So pretty!!! Well done, as usual! :) Have a fantastic week, Terry! Thank you Cheryl! You are sweet! I hope you have a great week as well! G o r g e o u s! I couldn’t let it go for sure now! 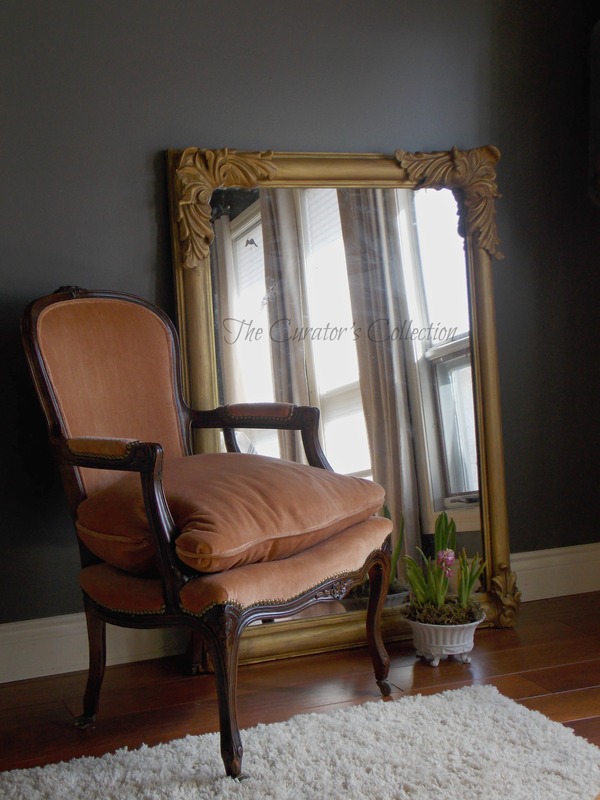 I LUV the fauteuil in front of the mirror too! Thank you Catherine! It is such a lovely piece and it calls me to keep it but I just don’t have the room right now :( I will probably kick myself later on …. Looks great Terry! Any tips on removing wax from mirrors? No matter how careful I am when waxing mirrors, I always seem to smudge some on and can never seem to remove it entirely. I will sometimes tape off my mirrors first depending on the size and how messy I plan to get ;) I have also used a cloth moistened with TSP. A razor blade works too but be careful you don’t press too hard or it could scratch it. I use that for painting windows too instead of taping them off, works like a dream and is so much faster than taping :) I hope you have a great day Mary! It turned out just lovely. Thank you Debra! I hope you are having a great week so far! I have a mirror that looks like the ‘before’. It is under our bed waiting for me to get inspired about what to do with it…and I love your ‘after’. Hope you don’t mind that I makeover mine, just like yours! Oh Felicity! Thank you for the visit! I’d be flattered if you chose to do yours like mine! I hope you will share it on Making Broken Beautiful here on Thursdays! Have a great week! Wow! What a fantastic mirror! I am off right now to see how you acquired it. 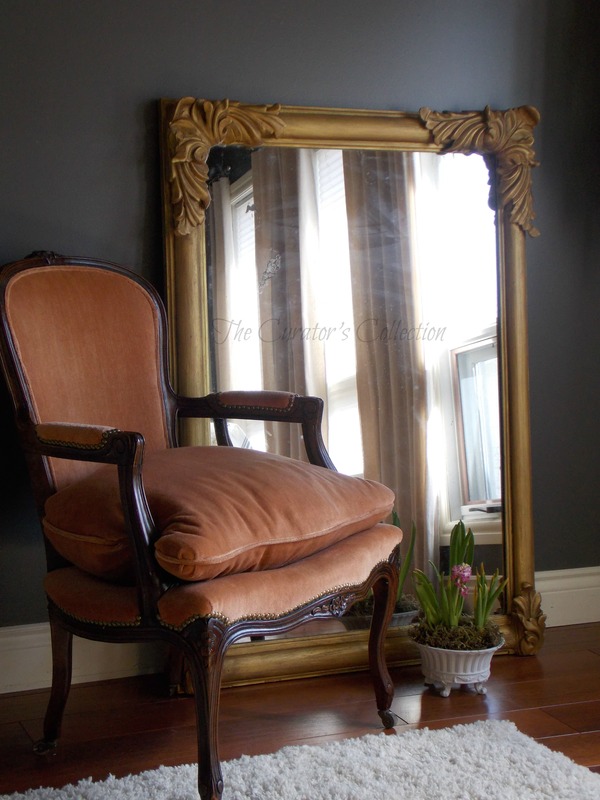 You did a beautiful job Terry – stunning mirror and what a great history it has. I shared in your last post how much I love walking the grounds and public areas of the beautiful Banff Springs Hotel. This reminded me that we are long overdue for a weekend away to Banff. Oh Thank you Marie! It probably isn’t anywhere near as pretty as what it would have been originally but I love it still. The Banff Springs was a Honeymoon stay for me with my first husband. He ended up being killed in a workplace accident 6 months later so it holds a special place in my heart for sure. Thank you for stopping by, I always enjoy your visits! 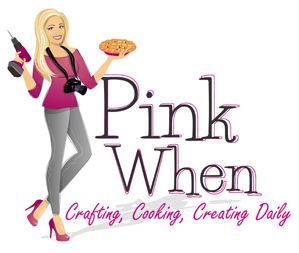 I hope you are getting lots of DIY time in with this gorgeous weather! Have a great week! Oh my goodness Terry! What a story. How did you ever survive that? I feel my heart breaking a little for you just reading that little snippet. But on another note, the mirror is gorgeous. 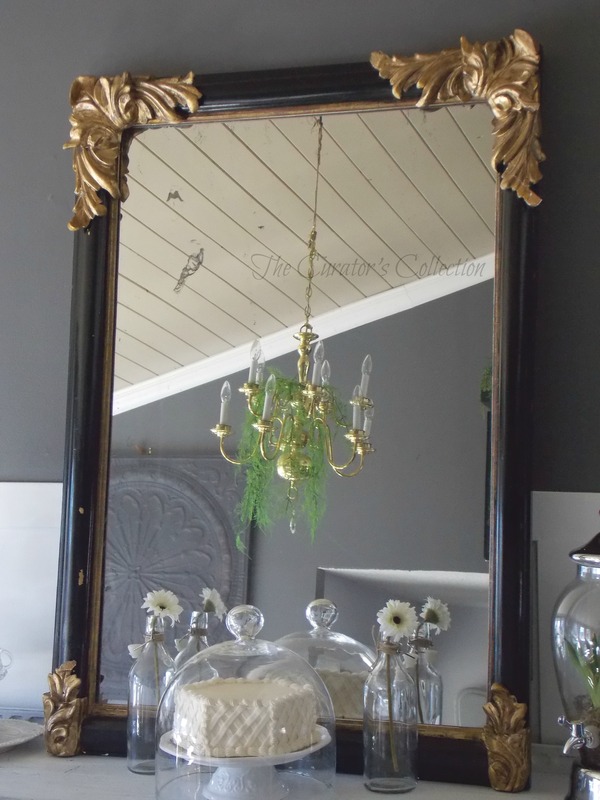 I like using the antiquing wax over the Fusion gold paint too! Oh how sweet you are! Do not feel bad for me, God knows what He is doing and while it was a horribly difficult time in my life, had I not gone through that I would not have my husband and 5 beautiful children. I am a stronger, better person because of the pain of that time. Thank you for your sweet comments my friend! I hope you have a great week! Thank you! I enjoyed browsing your blog! lovely makeover. it looks better because the contrast really stuck out. But, honestly, I loved it either way. I agree. It was too much of a contrast. I’m loving it more now. Thanks for popping by! I hope you have a great week! The all-gold looks so sophisticated and beautiful! Have a great week. Cheers! Thank you so much Michelle! I hope you have a great week as well! Thank you Merryjo! It’s so heavy that I’m afraid to hang it ;) For some reason history makes pieces that much more attractive! I hope you have a great day! 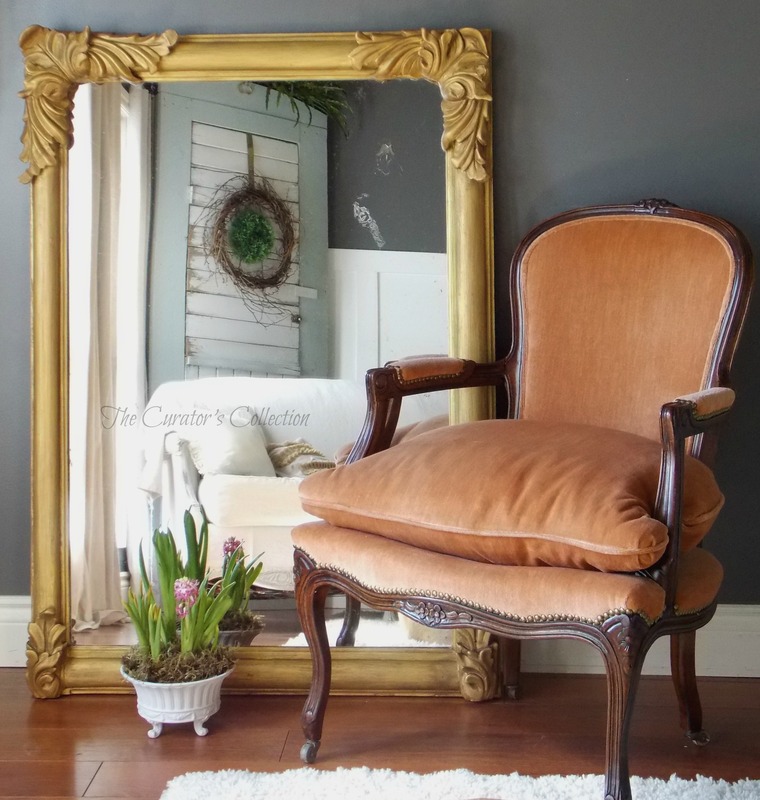 This Mirror is Gorgeous Terry… and I just love the Bergere Chair too!! I’ve been looking for a pair to dig into!! I know you’ve done many upholstery jobs… I’d like to give it a go as well some day. 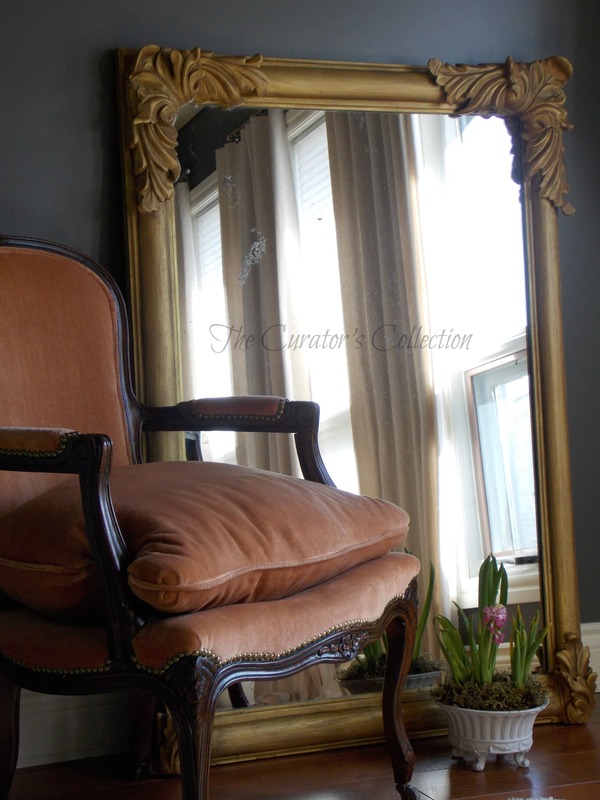 Wow gorgeous mirror makeover Terry! Thanks so much for sharing it with our party! Pinning:). Thank you Tara! I hope you enjoyed a nice weekend! What a fabulous project. It looks so beautiful! Thanks for sharing with us on Thursday Favorite Things. Thank you Jennifer! Love your party! Very pretty! I would keep it for sure! You could hang it if you do not have room for it to lean against the wall. Oh! It’s absolutely stunning. 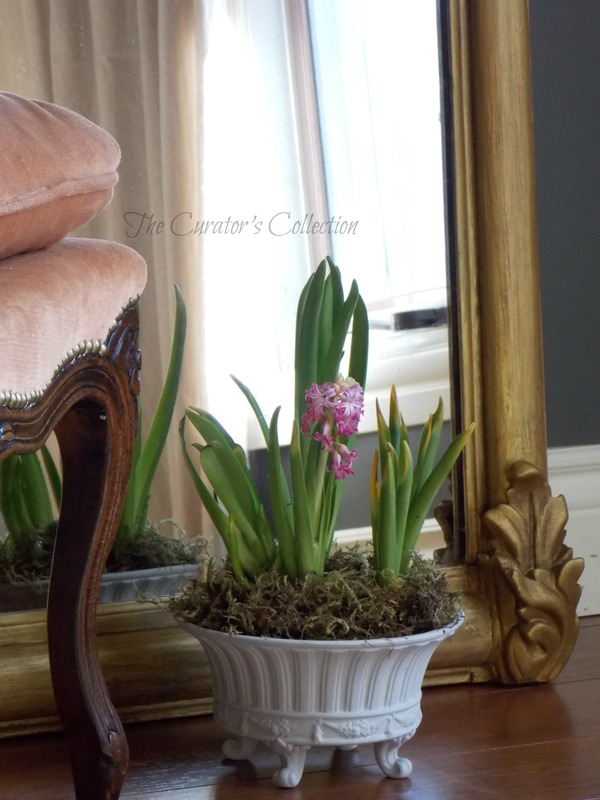 I love the vignette you created with it. Lovely job. Thanks for sharing at The Creative Circle.